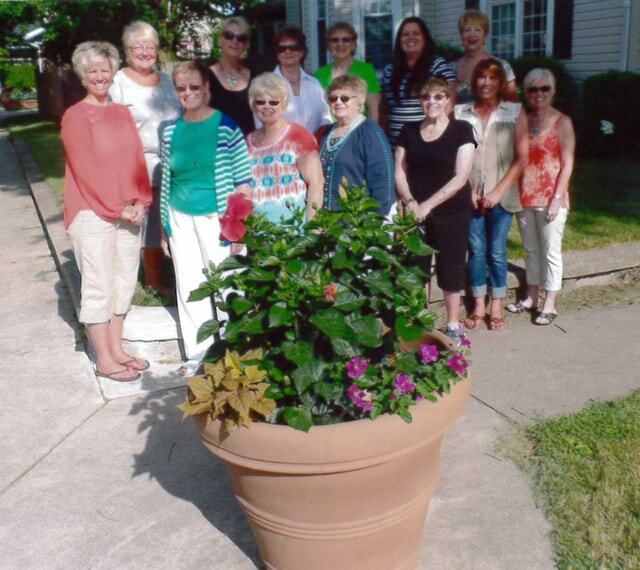 ARCANUM — Prior to the montly meeting in June, members of the Arcanum Garden Club met at the newly planted Tuscan pots which decorate each corner of Main Street in Arcanum. “Have you stopped by the square to enjoy the flowers, the bubbling fountain rock and the peaceful area,” organizers asked. The club then proceeded to Union City, Indiana, to the home of Mr. and Mrs. Dan Wasson. Seen were the grounds, waterfalls, koi ponds, manicured lawns and flowers everywhere the eyes looked. After a talk by him about the garden care, which is extensive, the club members were able to have their meeting on the patio under the shade tree surrounded by more pots of flowers. The Wasons are landscapers in Union City and Muncie, Indiana. “We thank the Wasson for their beautiful location and their hospitality,” the members said.